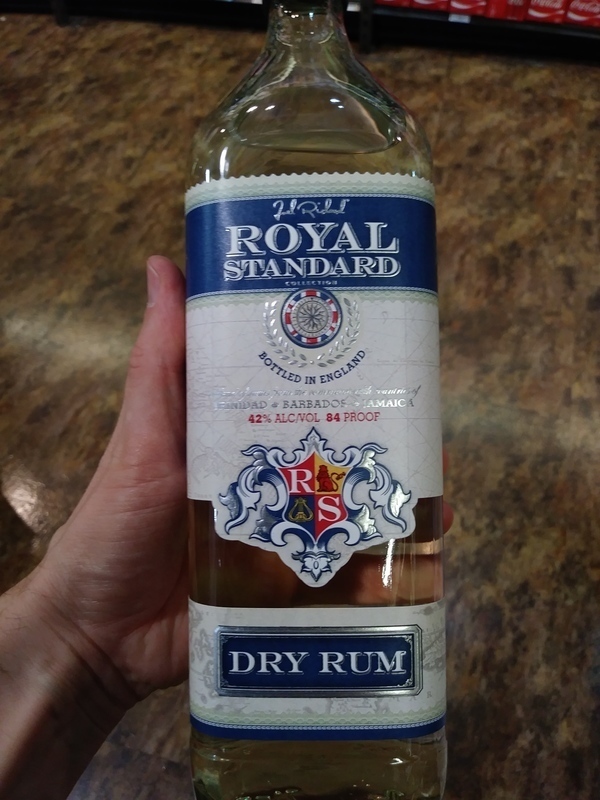 Have you found an online vendor selling Royal Standard Dry? 42% ABV. A new rum from Joel Richard, seemingly from a new "Royal Standard Collection." Light nose. Hint of alcohol. Some sugar, but very dry. Mouth: briny! Some spice. And yes, salt. The hint of rubbing alcohol lingers, but is not offensive. I really think this would be a great cocktail rum. Would love to try this alongside other contenders like FdC4, HC3, ED3, RM3, P5*, and Denizen. But right now, with its 84-proof strength and dry, complex flavor, I would gladly choose this as my "go-to" light mixing rum. Had a rum tasting on a sunny afternoon, because why not. Royal Standard Dry Rum bottle and label design look different in a good way. Alcohol to the nose and palate being such a dry rum. Awful burn at the end. Mix it with Coke and down it goes. This is a great blend from E&A Scheer of unaged Trini, 3-year Bajan and light pot-still Jamaican. It has a great rum flavor. Most of all, it has a fantastic price, making it a great staple for daiquiris or any other beverage requiring a more delicate light rum.